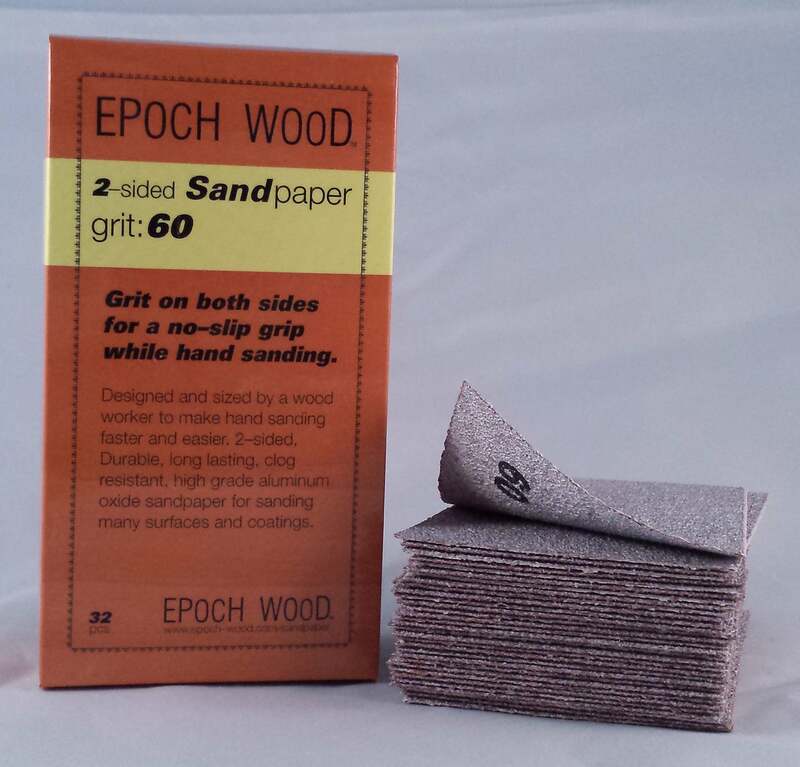 60 grit, 2-sided sandpaper, 32 pcs. 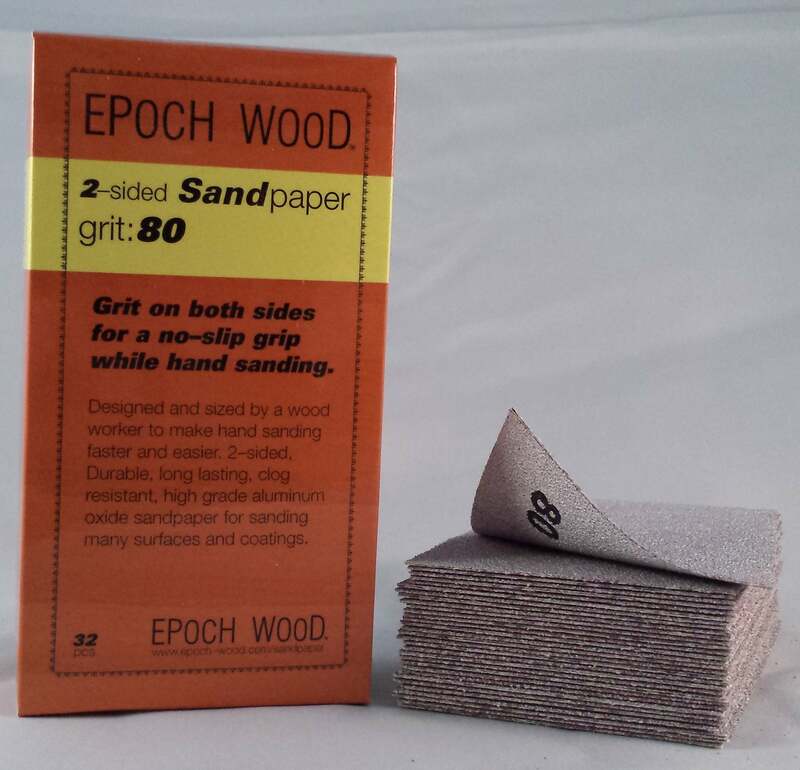 80 grit, 2-sided sandpaper, 32 pcs. 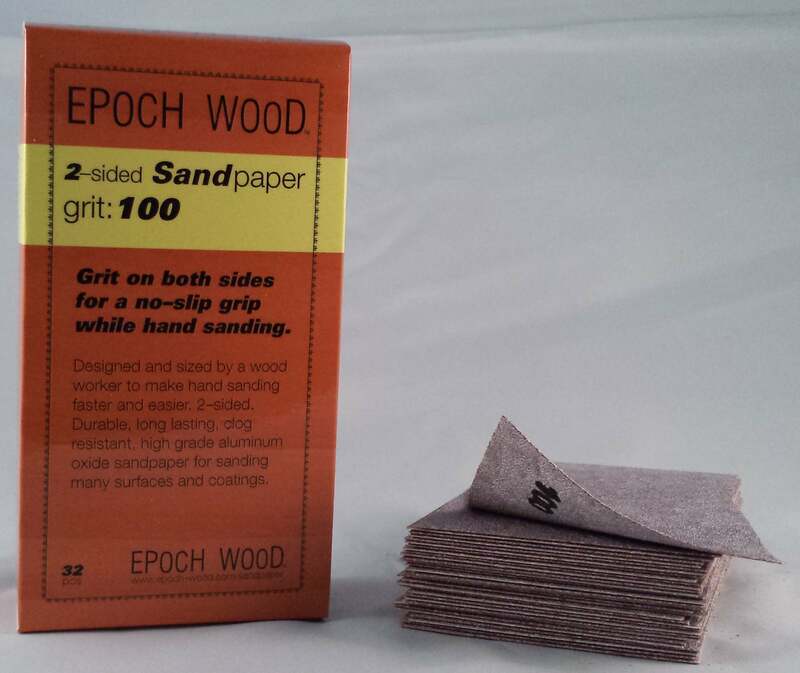 100 grit, 2-sided sandpaper, 32 pcs. 120 grit, 2-sided sandpaper, 32 pcs. 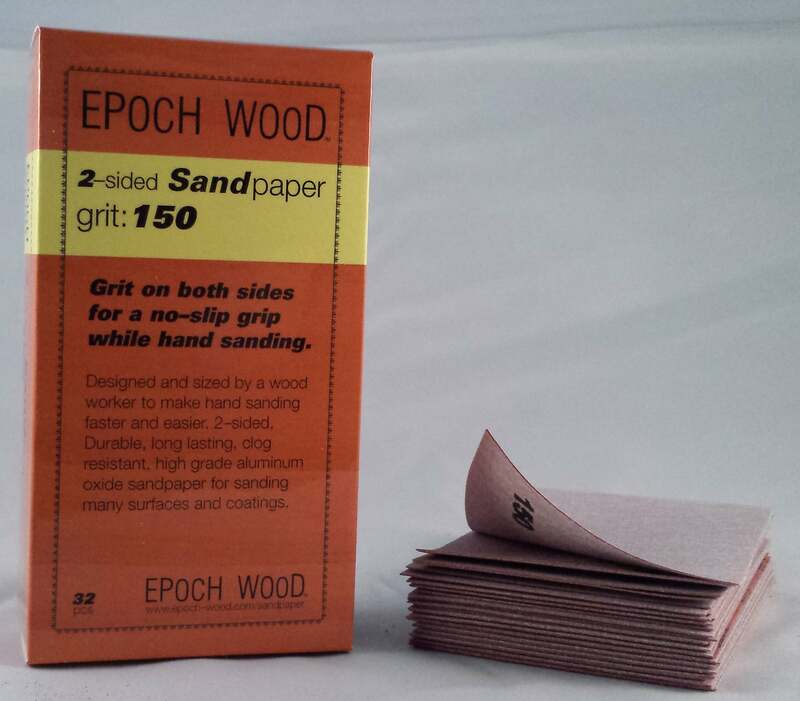 150 grit, 2-sided sandpaper, 32 pcs. 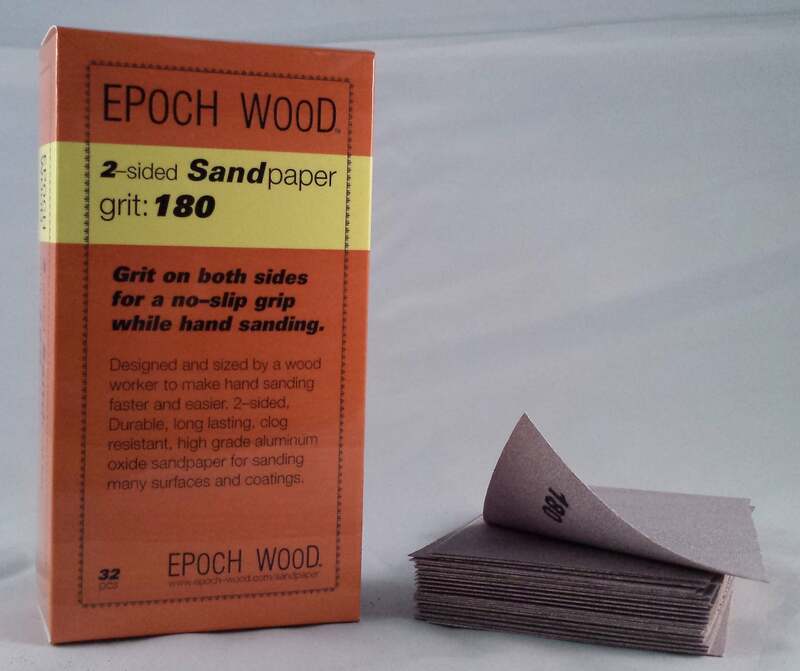 180 grit, 2-sided sandpaper, 32 pcs. 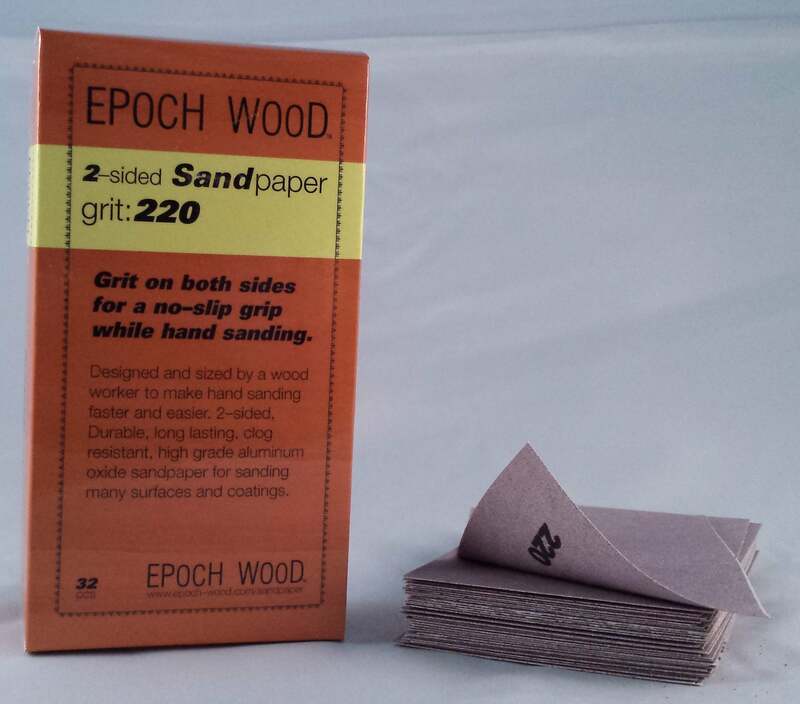 220 grit, 2-sided sandpaper, 32 pcs. 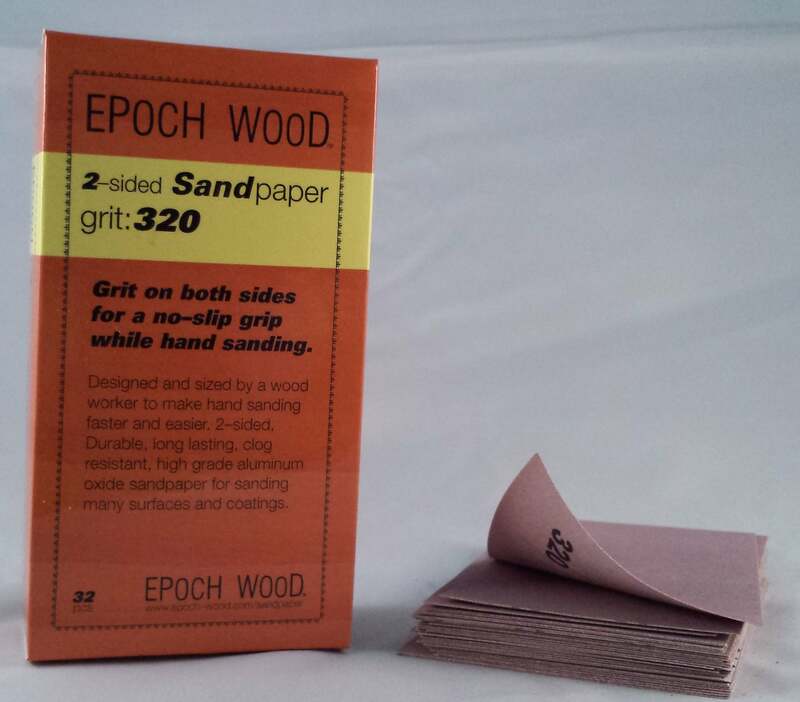 320 grit, 2-sided sandpaper, 32 pcs. 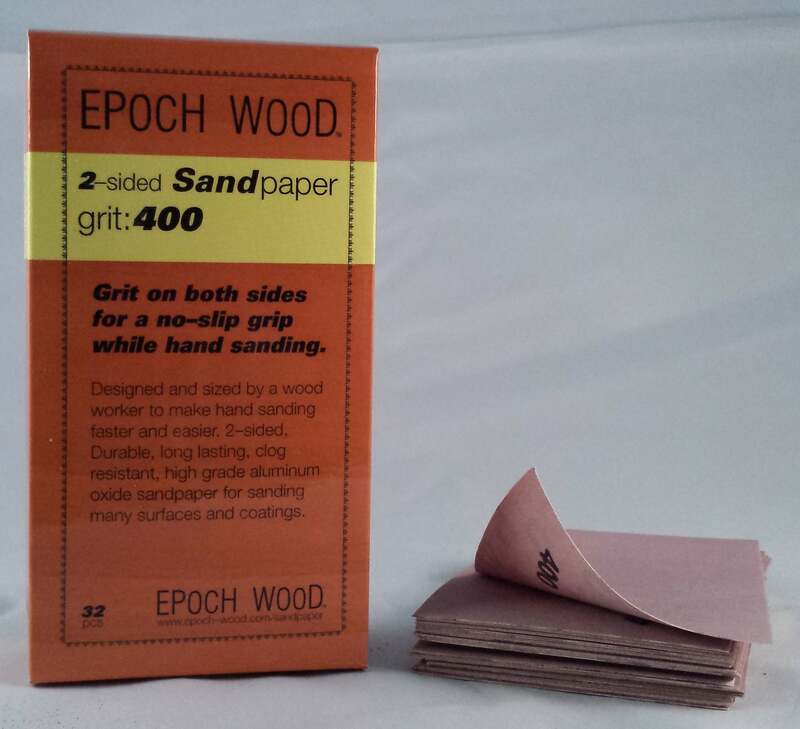 400 grit, 2-sided sandpaper, 32 pcs. We are always looking for ways to minimize how much sanding we have to do, and when we do have to sand we are always looking for easier ways to do it. 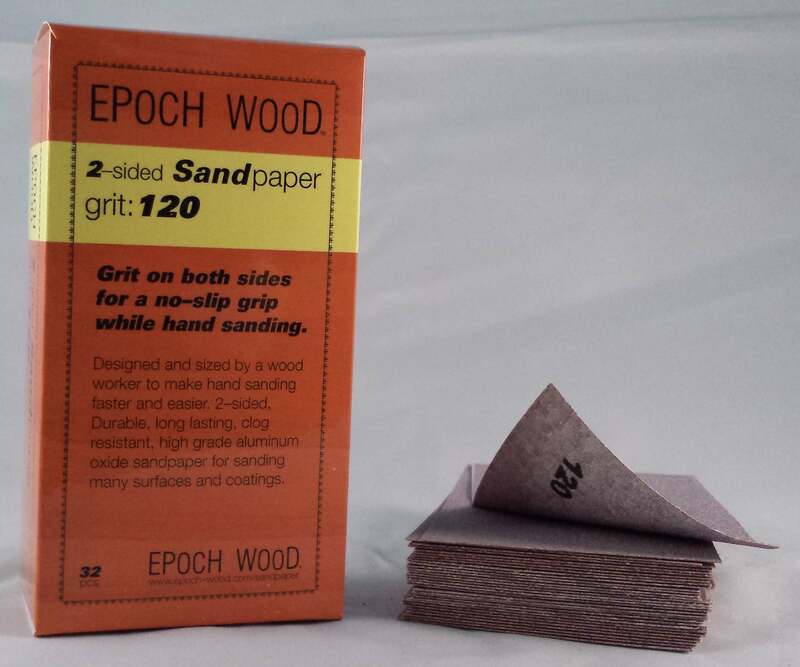 I've been making 2-sided sandpaper for myself for over 10 years as a solution to the frustrations of hand-sanding. Having grit on both sides makes the sandpaper much easier to grip. It never slips. It conforms to corners, bends and curves. It's much easier to use than regular single-sided sandpaper. My sandpaper is made in the USA and assembled in Shepherdsville, KY. I know you will love it.